Ludwig Wittgenstein was – and remains – not just a well-known thinker but an intellectual celebrity. He generated far more than his fair share of personal speculation and gossip as well as serious scholarly attention. I’m not claiming that he was an attention-seeker in a simple or crass sense. 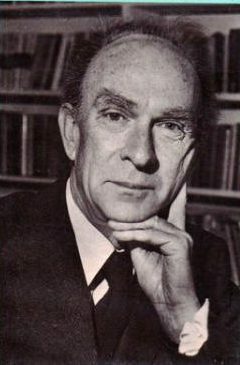 It’s undeniable, however, that his eccentric ways, his often outlandish and provocative remarks, his extremely wealthy and highly-cultured background, his friendships with the likes of Bertrand Russell and Moritz Schlick, and of course his often enigmatic writings, created a perfect storm of attention which shows no sign of abating 65 years after his death. Wittgenstein was certainly a Soviet sympathizer, however, and was certainly moving in the same intellectual and social circles as members (or future members) of the spy ring. It’s also well-known that he wanted to live and work in Russia, and had made attempts to organize this. There are all sorts of questions relating to Wittgenstein’s social and political views (including his consciousness of, and attitude toward, his Jewish ancestry) on which there is abundant evidence and which I am interested in exploring. But my focus here is not politics but theatrics ; as well as the distortions which the cult of celebrity inevitably creates. Whatever the causes, the implications of this narrowing of historical focus are not trivial. For one thing, it distorts the true history of ideas if the ‘minor’ players are left out. Furthermore, celebrities are often credited with ideas which they may have got from others. Take the ‘family resemblance’ approach to concepts, which is always credited to Wittgenstein. I came across a reference to the idea in a book published some years before Wittgenstein talked about it, a book he may well have read. It was by a leading thinker of the time who is now virtually forgotten. I won’t deal with this question now, however, because I want to stay with the general subject of philosophical theatrics and talk about something which may seem rather light and trivial. But don’t be deceived (as Groucho Marx might have said) – it is light and trivial. “… Father Brown, who had sprung swiftly to his feet, […] was holding his temples tight like a man in sudden and violent pain. And yet it almost seems as if, in playing the part of a philosopher ten years later, he might have been mimicking that fictional Roman Catholic priest playing the part of a detective! I know, I know, head-clutching has a long history and I am drawing a very long bow here. Take it as a wild speculation if you like. My point is merely that there is a striking parallel between the descriptions, and if Wittgenstein had read the story then it could have had some kind of (subconscious or unconscious?) influence on his behavior. We will probably never know for sure whether – or, if so, when – Wittgenstein had read this particular story. 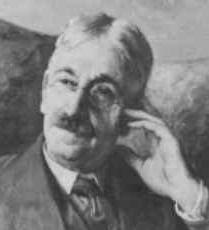 He was known to be an avid reader of detective fiction, including English exponents of the genre such as Agatha Christie whom he greatly admired. So he must have known about the Father Brown stories. Everybody knew about them, especially in the circles in which Wittgenstein moved. (A quote from one of the stories plays a crucial role in Evelyn Waugh’s Brideshead Revisited, by the way. ) And, if he knew about them, it would be very surprising if he hadn’t read at least one or two, probably well before 1936. These stories were, of course, very unlike the newer, hard-boiled American stories that Wittgenstein got a taste for in the 1930s. And this may explain (at least in part) why he pooh-poohed them and tried to distance himself from them as he did, implicitly suggesting that he had never read them. But it was a very curious reaction nonetheless. Now you may be surprised to learn that the antics of philosophers – including head-clutching – have been much discussed in recent years. And I flatter myself that I may have played a small, indirect role in helping to bring the philosophical head-clutch to the attention of the world’s scholars. It was his topic now: I was very happy to pass it on to someone who commanded a far larger and more influential audience. Geras took the head-clutching ball and ran with it. He wrote two subsequent posts on the topic, reporting on what his readers had sent him. A lot of stuff, but there were only a few good examples of proper head-clutching. Leszek Kolakowski was probably the best of them. Wittgenstein’s putative influence on, or contribution to, these practices is not directly discussed in this piece which, though it includes an embedded YouTube video of Alan Bennett and Jonathan Miller sending up the philosophical manners of their time, is fundamentally a serious and even scathing analysis of what lies behind such antics. Head-clutching is clearly a part of this behavioral arms-race, sometimes inner-directed and merely ego-asserting; sometimes reactive and directed outwards, exhibiting hostility towards, or frustration at, interlocutors; or a mix of these. In the scheme of things, the head-clutch is relatively harmless and funny (or at least easy to laugh at). But there is a serious point here about the way ideas are communicated. It goes beyond physical gestures. Larvor himself makes the point that similar strategies are employed in text-based contexts. And it goes well beyond philosophy. Whether we like it or not – and whether we like to admit it or not – we all too often find ourselves on a communicational battlefield where the performance of bewilderment, contempt and nausea combine with other forms of shaming and ostracism to play a major role in determining who prevails. This is intended as the first in an occasional series of pieces on Wittgenstein. The intention is to deal with a number of the questions raised here in future essays. Wittgenstein, who was enrolled as a Roman Catholic and thought of himself as such, may well have been perceived by others as Jewish (and was in fact on an official list of halachically Jewish boys who attended the school). Cornish quotes a recollection of a former classmate of Wittgenstein’s who later visited Hitler in Munich: “Once Adolf shouted at another boy, “Du Saujud!” The boy concerned was staggered. He knew nothing of his Jewish ancestry at the time and only discovered it years later…” Wittgenstein was the only boy on the list of halachically Jewish students for 1903-04 who was enrolled as a Christian. This is the starting-point for Cornish’s argument. In an article in Quadrant (September 1998). The Wikipedia entry on The Jew of Linz erroneously attributes Paul Monk’s comments to Ray Monk. In a strange comment in one of his notebooks, Wittgenstein claims that ‘masked theatre’ has a special attraction to Jews. I have yet to figure out exactly what he was trying to say here and this is a topic I might look at in the future. This description, based on an account given by Peter Munz of a famous seminar, is from the book Wittgenstein’s Poker by David Edmonds and John Eidinow (Harper Collins, 2001). In the Granada TV adaptation, Lady Marchmain (played by Claire Bloom) reads the passage aloud: a reading of the stories was part of the regular evening entertainment at Sebastian’s rather grand home. Communications between humans has always been a combination of content and signalling where the signalling channel often says more than the information channel. Posture, dress, gaze, inclination of the head and expression of the eyes all combine into a rich, expressive signalling channel that we are remarkably adept at reading. We intuitively signal without thinking about it. In fact conversation with a person who does not signal is a dead, disconcerting experience. Leaders are usually people with much greater than normal signalling ability and they consciously use it to great effect. Good lecturers similarly use signalling effectively and we should not be surprised to see this in Wittgenstein. Without intending it or even knowing it, we ape the group’s signalling style. This serves as an effective way mark our membership of a group and to differentiate outsiders from insiders. Head grasping and clutching is probably part of the group’s signalling repertoire. All groups value sincerity as an indicator of trust. We look for sincerity in the concordance between the signalling channel and content channel. My dogs of course only use signalling and they are so sensitive to my unconscious signals that I am tempted to claim they can read my mind. They would certainly make that claim. Wouldn’t the behavioral antics of very deep thinkers be consistent with the Wittgensteinian aphorism that some things can not be said, but must be shown? I would just want to be careful and not let this sort of thing have too much of an effect on one’s perception of great thinkers. No matter how many times he clutched his head or made funny noises, Wittgenstein was the greatest philosopher — and one of the greatest minds more generally — of the 20th Century. I normally clutch my head to keep an idea from coming out – most often to abort a remark that would be casually denigrating to someone struggling to accomplish a constructive end. The effectiveness of the technique seems contradictory to its use to encourage an idea to reveal itself: if hands a-clutching keep ideas in, it seems they would prevent the entrance of ideas that are out. Perhaps poor Father Brown’s intuition was to avoid his realizations! Labnut: You are exactly right. Indeed, most communication is non-verbal in nature. And the verbal communication we do engage in is filled-in, interpreted, and substantially affected by its non-verbal accompaniments. On signalling and leadership, etc., I guess I’m more inclined to see the darker aspects. Well, he’s certainly amongst the most *interesting*. I’m ambivalent about him, though more positive than not. I think he was profoundly right about some things and profoundly wrong about others. Exactly. But the action itself signals (or can signal) exasperation or disapproval. Oh, and thanks Dan for the positive comments on the essay. Mark: What is a better philosophical work in the 20th century than The Philosophical Investigations? The essay is fantastic. Really enjoyed it. Chris: Certainly, Russell had greater range, but at the end of the day, he was wrong about pretty much everything. That is, his philosophy is dated. The critical dimension of the Investigations, on the other hand, remains perennially relevant. You are right of course, that at the end of the day, there is a pretty significant dimension of personal taste to this sort of thing. So is Russell’s work ‘dated’? Yes. I would say that his more technical work is dated, but more or less in the way most scientific and technical work rapidly becomes dated. I have heard Russell described as a scientist manqué, and I think this is about right. He believed in a ‘scientific philosophy’. (This is a term that was explicitly defended by Louis Rougier, a significant philosopher who had a very high regard for Russell and also for Wittgenstein’s Tractatus (his only published philosophical work at the time). An interesting way to deal with this question might be to look at respective reactions to Gödel’s theorem. Though he didn’t say a lot about it, Russell certainly appreciated its importance. This is to his credit, I think. Those photos of philosophers throwing half nelsons on themselves are great. L.W.’s antics were contagious; his students adopted them and more importantly his intensity drew them up to a creative level they might not have achieved without him. In this and his koan like teaching methods he was more like a crazy roshi. Margaret Anscombe, Rush Rhees, D.Z. Phillips, Norman Malcolm and other luminaries ‘took the knowledge’ as it were. My copy of P.I. bristles with post it notes. ‘5 o’clock on the sun’, ‘the beetle in the box’ spawn so many interpretations. Did he close the inner theatre of mental life with his private language argument? I mentioned Russell’s response to Gödel’s (first incompleteness) theorem in my previous comment but not Wittgenstein’s. There is a lot of controversy about the degree of LW’s understanding of Gödel’s work and the quality and worth of his writings on the philosophy of mathematics more generally. For many years his views were largely dismissed as perverse, badly misguided or simply mistaken. In the last couple of decades particularly, his writings in this area have been energetically defended by some. My personal view? Though sympathetic to some of LW’s themes and positions in the philosophy of mathematics, I don’t really have the sense that he made a particularly strong or clear case for his sometimes quite radical claims. But I’m always interested in what others with a better knowledge of these things have to say. There’s certainly a funny side to these antics and also no doubt the positive side that you describe but my focus tends to be more on the negative side, I must admit – e.g. the possibilities of manipulation, abuse, deception and self-deception. Especially manipulation. I like the minimalism of Zen and the way it questions conventional logic, but the style is a bit too crazy, master-centered and physical for me. If I had to pick a mystical tradition it would be something like Quietism or (more realistically) a weak form of nature mysticism. To each his own. Again, the style and content of the Philosophical Investigations appeals more to some than to others. For whatever reason, it just doesn’t speak to me personally, though I recognize its intellectual and stylistic qualities. Mark: One more thing on Russell v. Wittgenstein. It’s not just Russell’s technical work that is dated. His basic philosophical work — especially his epistemology — is dated as well. The one thing that really lasted was his theory of descriptions, but even the significance of that shrank with the publication of Naming and Necessity. When I speak of Wittgenstein’s greatness, I am really speaking of the Investigations. And the critical thread that runs through it not only remains relevant but is devastating, in its implications not only across the philosophy of language but across the philosophy of mind. It shows much if not most of contemporary cognitive science to be one big ball of confusions and category errors. And it is, in my view, to the shame of contemporary philosophy, that it has decided to simply stick its fingers in its ears and shout “Can’t hear you!” rather than confront the critique in a straightforward and intellectually honest manner. Emotions, those things that we show, are the physical expressions of internal ‘feelings’. There is no explicit inventory of our internal goings on because of the impossible difficulties involved. When I say that I’m angry, how could someone else gauge what I mean exactly? Facial expressions, posture, movement and tone of voice are helpful emotive guides. Politicians are the experts at playing these games, but it should come as no surprise that even expert thinkers are unable to express their thoughts solely through words. Non-verbal emoting goes far beyond what we directly do with our bodies. We can also paint, perfume, perforate or pierce as if our bodies must be molded to comply with our self-image. It is clear that the many actors on the post-humanist stage are making statements, the meaning of which only they have access to – a symptom of their self-perceived radical difference. It might be that Witt et al were just the beginning of a new awareness, a new modality of communication and persuasion, a new way of exercising power. But, there is another, largely separate realm of communication about the world, a world that is external to me. There is a rabbit in the garden! There is a snake in the garage! These are statements of fact that can be confirmed or otherwise, quite easily, most of the time but not always. However, as a broad category, our knowledge of the external world is far more certain and detailed than the internal world where confusion, uncertainty and even deception are ever-present problems. It is interesting to note, then, that in science, mathematics and analytic philosophy, emotional statements are consciously discouraged. How we feel about the strange simplicity of a quark or the ineffable complexity of a neuron are separate from the scientific questions of what they are and how they behave. Facts are about the discernible structures in our universe, feelings are about the inner workings of individuals. In my case, my feelings are more of a mystery to me than they are to those that have to deal with me. I look forward to your future writings on Wittgenstein. I suspect that he is not going to help me much in my understanding of my world and my feelings. Hi Mark, this was amusing… and yet somewhat embarrassing. I definitely engage in these sort of dramatics. Holding my head, pulling my hair. I always thought of it as harmless melodrama, something to add flavor, acting, not real. I never considered it a debate tactic. I never considered that it could be considered a debate tactic. But that should have been obvious. It’s not like I was unaware how important nonverbal communication is. So was it all for show, or a tool, or both? This last week I was in a conversation where I was doing that a lot. But there was no need to convince anyone. We were already on the same page. Was it still something more than just an act? Hmmmmm. I may be watching myself a lot more. The only question I have with your piece is why Wittgenstein would have been limited to Chesterton to pick up such things, and why would others might have gotten it from Wittgenstein (which seemed to be the implication). Just because they are philosophers they could have picked that up from anywhere. I know I didn’t get my “act” from Chesterton or Wittgenstein. Hi Dan, it is hard for me to consider Wittgenstein the greatest philosopher of the 20th century, which is not to say you are wrong for thinking that. For me, whatever greatness his ideas held were undercut by a poor writing style. I think in clarity of writing Russell certainly outperformed Wittgenstein. Since you do champion comparisons between philosophy and literature, do you consider writing style (clarity and compelling word use) as a significant factor in determining the greatness of a philosopher? I love the style of the Investigations. Not only do I not think it is poor, I think it is remarkable. But it is not traditional philosophy. It is a combination of aphorism, interlocution, and stream of consciousness. I should also say that I don’t think you could do what he did, there, any other way. The whole point was *not* to present theorems and theories. It is truly critical in nature. 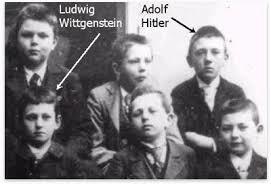 I’m very curious, who discussed the notion of family resemblances before Wittgenstein? What I was trying to say in talking about my attitude to Russell – or one of the things – is that in science (or ‘scientific philosophy’ though I don’t want to push this concept particularly) it’s not a question of what bits of a person’s writing still ‘work’ or whatever. Ideally the person disappears once they have done their bit: what counts is the body of knowledge to which they may (or may not) have made significant contributions. They may have contributed in an oblique and indirect way and even by pursuing approaches which proved in the end unproductive. At any rate, if you are judging a man or woman of science, you won’t be asking which bits of his or her work are still ‘current’: you will be more interested in whether he or she played a crucial role in the past. Another way I look at it is this. If you want to learn about a particular area of knowledge, you don’t normally attach yourself to the ideas of a particular person or a particular (original) book. In fact, a totally unoriginal introductory text or a good teacher is what you want. I know you draw a clearer distinction than I am inclined to do between philosophy and science: I don’t think you see philosophy as being in the knowledge-generating business at all. Now, regarding your claims about PI. In part you are talking about Wittgenstein exposing the errors of philosophers and philosophy and I agree entirely that he does this, and often does it devastatingly well. I don’t really know enough about current practices in the cognitive sciences to comment on your claims concerning that area however. Thanks for your intriguing comment. Maybe your antics *are* just a bit of harmless theatricality. Head-clutching and similar behaviors are clearly universal. Even the fact that we have idioms like ‘tearing his hair’ – and equivalents in other languages – shows how universal these sorts of behaviors are. Now the idea of a “head-clutching epidemic” started by Wittgenstein is a sort of joke. But it is also shorthand for something that did happen: Wittgenstein’s students did adopt at least some of his mannerisms. The link isn’t working (we had problems with missing footnotes when the piece was first published) but if you go to the source listed at endnote 9 you will find the embedded video of Bennett and Miller doing all these philosophical contortions and talking about Wittgenstein and category errors. There is a story about a young student at Cambridge who had a funny way of lowering her head and pausing and squinting during discussions. Her tutor recognized it as something Wittgenstein used to do, but the student was far too young to have known him. Turned out one of her *parents* had been a student of his. I’m not quite sure I see the larger point you are making. One particular point: you seem to be drawing a distinction between feelings (internal) and emotions (external). Sure, *emoting* is external, but it just seems a bit arbitrary to divide things up like this. Feelings and emotions, as normally understood, are the same kinds of things, are they not? Internal? External? I don’t know. Do we have to say? I think of anxiety, for example, in terms of the amygdala sending out signals which are not damped down by ‘higher’ regions of the brain. Certainly these signals can cause strong fear or anxiety responses, and these responses are evident in behavior but are also (obviously) subjectively felt. Hi Mark, yeah except for an exasperated “oh god” here and there I normally never reference deities. If I am having a real hard time thinking about something, or made a really stupid mistake I might say “come on brain!” or something like that. I hope that’s not too similar. I watched the clip and unfortunately I do some of the stuff they did. I laughed when the guy had his arm bent over his head. I know for sure I had a conversation like that once. Only afterward I realized I had been sitting like that while talking to people. I don’t think I’ve done it since. Hi Dan, I owe Wittgenstein an apology for my “poor” choice of words. That really did not capture what I meant. I know when I tried to read him in college I thought he didn’t write very well. I guess I had expectations for philosophical works that were more along the lines of how Russell wrote. Though it’s not like I was against literary styles/approaches, for example much of Hume seems less formal and certainly Nietzsche wrote things in a literary way… as did existentialists. Perhaps it is personal (though I have heard many people make the same complaint), his writing does not seem easily accessible. As I described before his writing is opaque to me. Of course that can be true for fiction authors as well, some of whom people think are great writers. After seeing what you have gotten out of Wittgenstein I can’t say his writing is inherently inaccessible. But I think it’s fair to say that it is a bit more difficult. Requires more investment to get something out of. “Difficult” seems more accurate than simply calling his writing “poor”, which unfairly suggests he was sloppy, careless, or untalented. I’d sort of stand by that descriptor too given how many intelligent people have not understood his arguments, and given that his position on certain topics still seems unclear… even though he did write about them. You are right! I tend to tiptoe around complicated subjects. Maybe it is a sign of my radical fairness. One should not be certain, when one isn’t. Wittgenstein has a point. SOME things can not be said but need to be shown. Nietzsche said something similar: “Thoughts are the shadows of our feelings — always darker, emptier and simpler.” I would add that our words, therefore, are reduced representations of our thoughts. However, SOME things can be described in great detail because they are structures that exist independently of me. They can also be seen for what they are. My larger point is that ordinary communication is a melange of very precise and very imprecise information. We are blissfully unaware of the errors that creep into our language. We project our feelings on to others and erroneously think we know what they are thinking. We often talk of human values as if these are shared by everyone except the degenerate. We can not understand how another cannot see what is so obvious to us. This descends into stupid name calling in many conversations about politics, race, religion or family affairs, etc. The logical positivists’ point, therefore, still has some validity; statements that cannot be empirically evaluated are very difficult to understand. Such ‘statements’ are nevertheless very important in getting to know a particular person with unique feelings. To feel that a critique based on aphorism, interlocution and stream of consciousness (feelings?) is devastating to mathematics, science or analytical philosophy is a feeling some might have. Defenders of Wittgenstein say that evidence to the contrary is irrelevant because W’s arguments are a priori. Others counter that there are no purely a priori arguments that inform us of anything that we do not already know. Thus the devastation seems to be a feeling shared by only a few. That is fine, but unless they engage with those they disagree with or misunderstand, progress will be limited. Your post and labnut’s comment nicely demonstrate that there is a feeling/emotive channel of communication. This is extremely important on multiple levels: art, music, poetry, attachment, community, empathy, etc. It is, however, comparatively very imprecise because ‘quality control’ is virtually impossible. Our words cannot convey a feeling very well by just naming it, it must be acted out. Our interpretation of other’s emotions is also very prone to error. We are mostly guessing at what the other is feeling. Neuroscientists have been studying ‘mind-reading’, e.g., by showing pictures of eyes to individuals and asking them what that individual was thinking. The administration of oxytocin lead to improved performance. I would add that our words, therefore, are reduced representations of our thoughts. This is one of the main ideas that the Philosophical Investigations rejects. Our words are our thoughts. Without words there are no thoughts of a significant kind. When a painter paints is he thinking? When a composer composes is she thinking? When a master chef cooks is he thinking? The answers are obviously yes, even though words are not required. Thinking without words happens all the time. Some people call such thinking thought, others don’t – semantics. I guess W. conflates thoughts with utterances. He probably thought more in words than others. An accomplished artist told me that the content of her ‘thoughts’ mostly resembled feelings. My stream of consciousness is a ‘narrative’ composed of words and images mostly, and a hodgepodge of other ‘feelings’. Mathematical sentences are composed of actions, i.a., but few words, if any. Scientific investigations indicate that words may arrive after an action has begun, but then rationalizes that the thought caused the action. Wittgenstein’s Philosophical Investigations are in peril if they end up contradicting empirical findings. Hi, Liam’s point is something I have been trying to raise with Dan regarding (what I take to be) a flaw in Wittgensteinian accounts of “thoughts”. “knowledge”, and “concepts”. Prior to the rise of neuroscience we were already aware of different forms of knowledge, (to make things simple) one procedural (action based) and another descriptive (language based). The fact that humans and other animals are capable of group action and learning without language appears to scream (to me) that organized concepts and thoughts do not require language (which is arguably social/public along Wittgensteinian lines) as their foundation. Given that organisms had to interact with the world in a meaningful way prior to the development of communication (much less language) the ability to form meaningful concepts/models about it without “words” seems obvious/necessary. This is a case where I take Wittgenstein as having over-thought the matter, and in the process forgot that actions are just as important as communication and equally tied to concepts and knowledge about the world. Not only does the notion of having a concept without language not “scream” to me, I don’t even think it is intelligible. I also think you’d better be careful about what you call “actions.” As opposed to, say, motor movements or events. I’m not sure I would take non-linguistic creatures to be “acting” either. That we interpret their motor movements or behaviors in certain ways says everything about us, but very little about them. On this words/thoughts question, surely it depends – as Liam suggests – on what we mean by thoughts. The brain’s language modules (contentious term but I am just using it to mean “brain systems involved directly in linguistic processing”) interact with other modules, and constitute only a part of the total cerebral activity which is associated with conscious experience. It seems a bit forced to characterize the multiple and various conscious experiences not associated with linguistic processing as ‘not-thought’. Labnut talks about “thoughts of a significant kind”. This needs further unpacking, but at least the qualification is there. I think I would want to say that the capacity for complex language changes the nature of ‘thinking’ in radical ways. This relates to the capacity for abstraction. I see a link between natural language and artificial languages (like mathematics). Certain non-linguistic animals can count and maybe subtract in an intuitive kind of way, and may enact certain processes which could be represented in terms of formal logic. But building and using explicit abstract systems can only be done by humans, and I think these formal systems are modelled to a large extent on natural language. But even ordinary natural language involves a high degree of abstraction. It is a big deal and a game-changer. I think some philosophers have erred, however, in pushing what I see as an extreme line on the question of language and thought. I am thinking in particular of the views of a couple of my teachers. As an eighteen-year-old undergraduate I was given what I now believe was a false perspective on language and thought in philosophy lectures and tutorials. It took me years to work my way out of it. Hi Dan, I see that this subject just came up over at Massimo’s site as well because of de Waal’s essay on language and cognition (which Liam linked to here). I agree with de Waal, as well as things said by others at Massimo’s site (particularly DM) and here (Liam and Mark). Perhaps the divide is simply an issue of semantics, though I think it must be more than that. At PF you said your position is based on arguments within PI. But I would like to see that fleshed out along the lines DM asked. Regarding your reply to me here, while I agree we have to be careful not to read things (mainly our own intentions) into the behavior of animals, the idea that no organisms besides humans perform “actions” only “motor movements” or “events” seems a bit reductionist and similar in nature to the “mereological fallacy” committed by certain scientists. I would love to pin down the disconnect between our opposing positions about “thoughts” and “concepts” as well as “actions”, though I realize that it is well off topic here… unless I start clutching my head? Maybe it would make a good Agora essay. 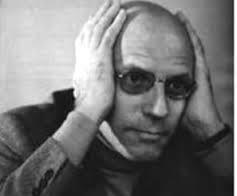 Those pics of philosophers clutching their heads…isn’t it possible that they were posed for the photos to indicate/suggest/prove that they are philosophers? In similar vein academics and lawyers are usually photographed in front of bookcases full of books,scientists with microscopes and lab apparatus,businessmen at desks with pen in hand about to sign a major deal etc. Posed? They sure are. But it’s a pretty silly stereotype, don’t you think? I like the Kolakowski pictures because he was obviously doing it as a kind of fun thing. He was that sort of guy. The second Kolakowski picture makes me think of a certain actor/director. If I’m not mistaken, Woody Allen did quite a lot of on-screen hands-to-head gesturing. Come to think of it, other movie comedians did the same. Maybe it’s more characteristic of a certain strand of comedy than of philosophy. Philosophers, comedians – and *chess players*. Norman Geras suggested that the latter were the real champions in this area. Yes, it does, so let’s begin. 1. initiate immediate fast action where required. Fast means faster than the conscious mind can perform. “quickly withdraw your hand from that hot plate”, “duck before that stone crushes your skull”. 2. interpret the data, “that’s a circle”, “that’s my friend”. 3. attach relevant information and emotion. – categories according to the kind of sensation by searching for earlier records of similar sensations. – this is what I ought to do. Intuitions are encoded experiences stored for easy access in lower level modules. They may have emotions attached to them. Recognition is a form of emotion. The conscious mind now begins a consideration process, using as primary input the sensations or intuitions received from lower level modules. These sensations or intuitions have emotions attached to them that supply motivating force to the consideration process that follows. To aid it in the consideration process the mind consults its memory and considers the potential future. Processing of sensations and intuitions are pre-verbal and no language is needed. But when they are presented to the conscious mind for consideration labels(symbols) are immediately attached to them. That is because the consideration process is verbal and cannot take place without language. In the same way, as part of the consideration process, you may consult your memory. Your memory responds with an intuition and symbols(language) are attached to the intuitions so that your conscious mind can process them. Consideration of the future is always in terms of symbols(language) since the future cannot be located in lower level modules. Sensory inputs go through a pre-verbal, modular processing system that are presented to the conscious mind as sensations or intutitions, with attached emotions and labels. The conscious mind begins a process of verbal consideration where it considers the inputs, consults values and goals, consults the past and considers future implications. This consideration process is verbal, i.e. it is language based. This is what I mean by ‘thoughts of a significant kind‘. It is important to note here that the attachment of symbols to the sensations and intuitions is vital because the conscious consideration of them is not possible without the attached symbols. But, and this is a vital but, our experience of the world is multiplied by inter-subjective consciousness. I am me because of you. Your experience has enlarged my life. Inter-subjective consciousness is made possible by shared language. It is the sharing of values, concepts and history, via language, which enlarges my being and makes it possible to be more than myself. Without that I am only marginally better than my dogs, much as I love them. The crucial bit here (for our purposes) is, I think, number two. I would want to say that a “that’s my friend” kind of thought doesn’t require language. I’m less confident on the circle but I think you might be able to make a case that some animals could have *something like* a circle concept (or at least the foundations of one). Processing of sensations and intuitions are pre-verbal and no language is needed. But when they are presented to the conscious mind for consideration labels (symbols) are immediately attached to them. That is because the consideration process is verbal and cannot take place without language. In the same way, as part of the consideration process, you may consult your memory. Your memory responds with an intuition and symbols (language) are attached to the intuitions so that your conscious mind can process them. Consideration of the future is always in terms of symbols (language) since the future cannot be located in lower level modules. There’s no way we are going to get to the bottom of this issue here: I think we need – as dbholmes suggests – to do it in the context of another essay (or essays) which tries to defend a particular point of view which we may then respond to. Your summary here helps me understand where you are coming from however. I like your general approach but I have a few doubts. The main doubts relate to the way you seem to conflate general symbols and natural language. I see a human language as something very specific, involving a *particular way* of symbolizing and combining certain kinds of symbols, of codifying and articulating, etc.. One tends to jump between two basic levels of abstraction here. There is the broad – but still precise and constrained – concept of ‘natural language’ (which can be seen as a very specific natural human capacity or set of interlinked capacities; or, looked at from another angle, simply as a convenient way of grouping all actual (modern) human languages). And then, at a lower (subordinate) level of abstraction, there are all the specific languages and dialects. So I would need yet more unpacking – this time of your concepts of symbol and symbolization.